a Swiss company focused on hosting for high-performance and mission-critical applications. we are specialised in high performance computing, massive data processing, managed hosting of business-critical applications and sensitive data and comunications. 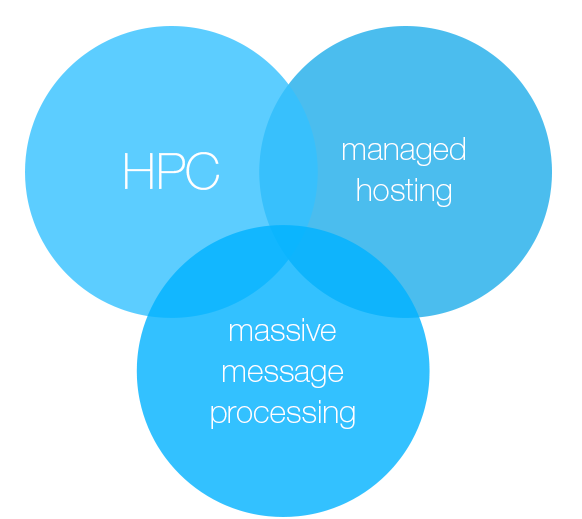 HPC computing. Infrastructure design, implementation, management. more than 200 millions daily processed emails thanks to our proprietary technology. 100s hosted applications, 1000s managed servers, countless TBytes of data. 100% of energy powering our swiss infrastructures comes from renewable source since 2008.